Expand Shepard's arsenal with the Groundside Resistance pack. BioWare addresses technical hiccups in it's space opera's third and final episode. Now players can join the conflict on OS X. What you thought was old is new again in this return to form for the classic RPG series. Be one of the first people to try out this ambitious and gorgeous new MMORPG. A huge update to one of the year's best RPGs greatly expands the game and makes it far more accessible for the unsure. Carpe Fulgur is looking to grace us with another unusual indie game. Looking for a summer Bargain? Valve's got you covered. 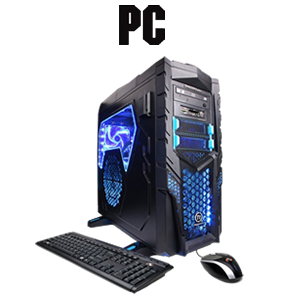 The gaming platform of the ages, the PC never stops changing, evolving and growing to match its console counterparts.